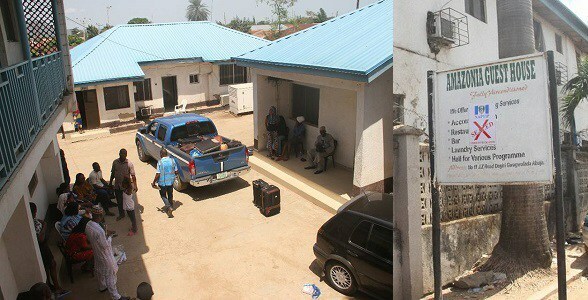 13 young girls suspected to be victims of human trafficking were rescued by operatives of the National Agency for the Prohibition of Trafficking in Persons (NAPTIP) today in a guest house in Gwagwalada area of FCT, Amazonia Guest House. A suspect, Afeez Abdulsalam, who has been on the Agency’s watch list for procuring young girls for onward travel to Saudi Arabia where they are faced with various forms of exploitation, was also arrested. Backed by a court order, a search was conducted and the premises sealed off until investigation is completed.